Hello kids! Sorry I've been off so long, but my mother has been ill and came to live with us for a month or so. She's on the mend and home now, so I'm able to steal a few moments for me. It's been many weeks of reflection and soul searching, and but it's nice to have my office all to myself again. That said, just wanted to let you know about a few things. Next week I'm going to be hosting some guest posts from my friend Thingummery on a handful of really rad kids books she's found recently in her estate sale travels. Plus, I'll be back more regularly with awesome things like the above end papers from Hugh Lofting's Doctor Doolittle in the Moon. Fabulous! 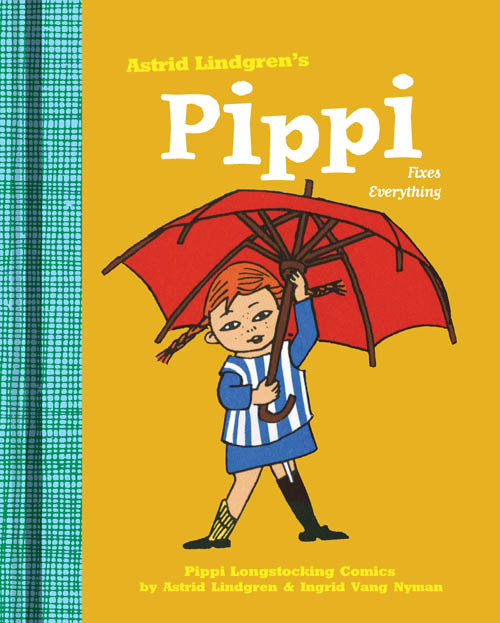 Drawn & Quarterly has a new Astrid Lindgren reprint out, Pippi Fixes Everything. Far Out Isn't Far Enough: The Tomi Ungerer Story is playing in NYC this weekend. Cloudy with a Chance of Meatballs 2 is out next weekend which is based (VERY) loosely on the brilliant followup to the actual book Cloudy with a Chance of Meatballs called Pickles to Pittsburgh. My son loves comic books too, mostly stuff like Garfield, far side, calvin and hobbes...Not super hero stuff. He is an emerging artist, and I think that as long as he is reading, Im good with that! Cant wait to see the new collection of books you will blog about! Ooh I'm excited about the new Pippi book! !